Preview 1 includes support for real-time ray tracing, Editor Utility Widgets, Movable Spotlight support on mobile, virtual production updates, and Blueprint indexing optimizations. 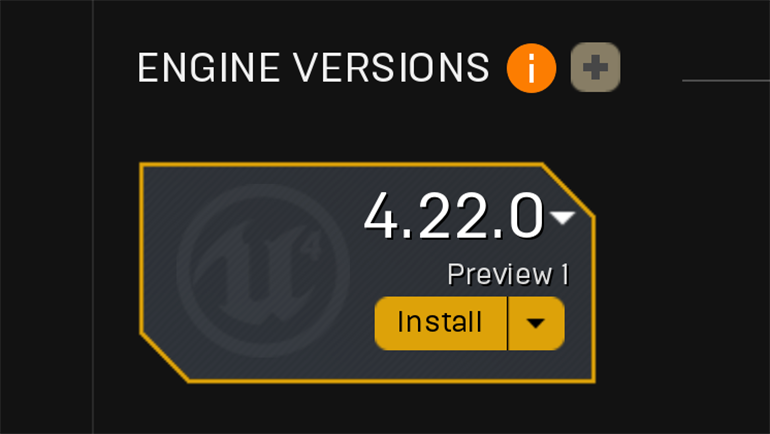 To get started with Unreal Engine 4.22 Preview 1, head to the Unreal Engine section on the launcher, select Library at the top, then click the plus icon next to Engine Versions and choose 4.22 Preview 1. We recommend waiting for the full release of 4.22 before updating your projects to the new engine version. For now, please use copies of your projects to test new features.